Our premises in Blueschool Street have recently been refurbished and the window displays updated and modernised. We love the new look and hope you do too. Why not pop in and see us the next time you're visiting Hereford and tell us what you think! anyTemporary or Permanent placement fees. Tel: 01432 383781 or email her. We are in the process of implementing an on-line timesheet system for our temporary staff. The on-line submission and approval process will lead to greater efficiencies, saving you time and paperwork. We will be contacting all of our customers with further details in the near future, with an anticipated launch date in April. You may have noticed that our corporate website hoopleltd.co.uk has recently been given a brand new look. 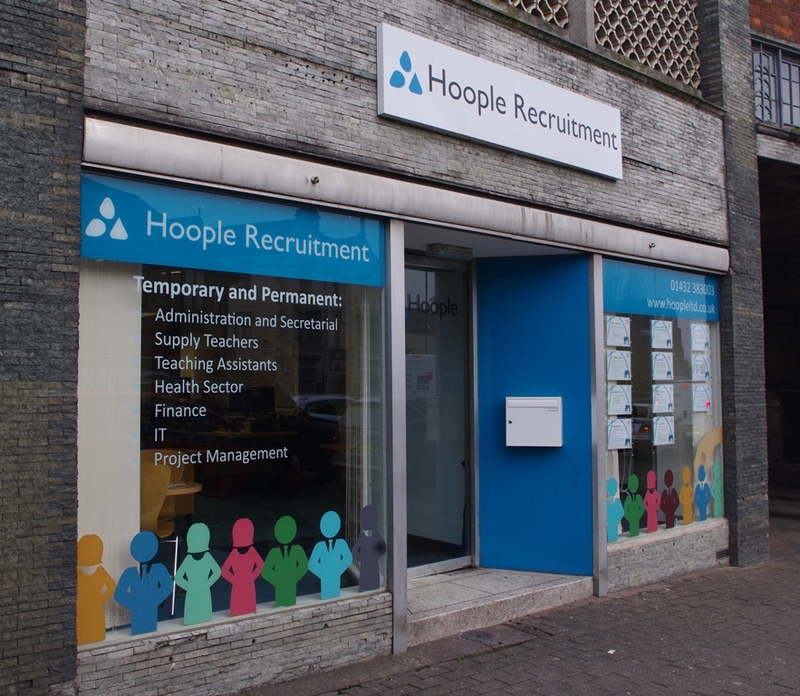 From here, you can navigate to any of Hoople's services - not just for information on recruitment but also for other aspects of our business, eg our training and education programmes and apprenticeships. The Hoople Recruitment section of the site is still under development as we're planning some fantastic new services that will benefit our customers. For example, you will be able to upload a vacancy on-line and we will be using more sophisticated candidate search technology to enable us to find exactly the right people for your vacancies. We'll keep you posted of developments, but in the meantime please don't hesitate to contact us with all your recruitment needs. There are some important employment law reforms coming into force in 2016. These include the introduction of the national living wage and a requirement for large employers to publish details of their gender pay gap. Personnel Today have published a useful eight-point guide to these employment law changes. Click here to read more. Also useful is Personnel Today's recent article on the ten most significant employment case law decisions made in 2015. You can read it here. Connect with us on Facebook, Linked in or Twitter for latest updates and news from Hoople.